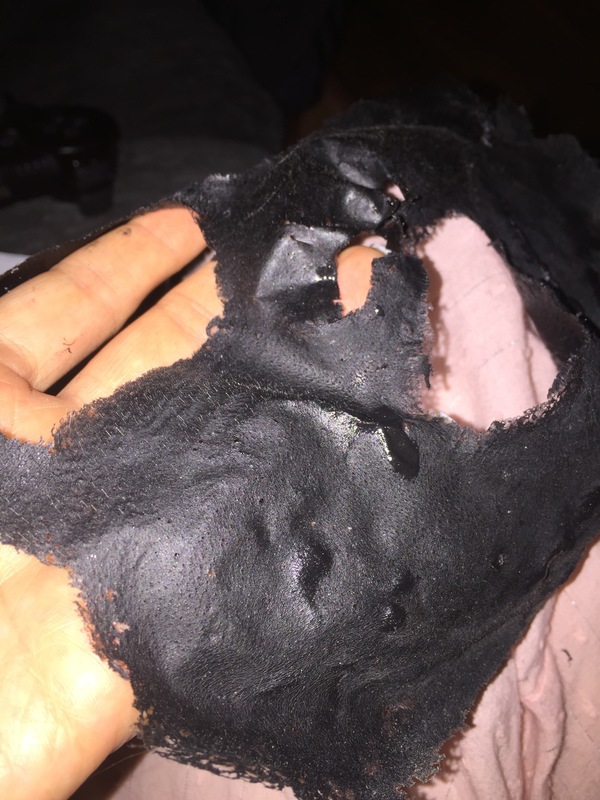 Charcoal and GLUE face mask? – The results! So I saw this video of the charcoal and glue mask on youtube by Beautybyjosiek ( bought to my attention by my boyfriend of all people!) and I was so fascinated by it I had to try it! 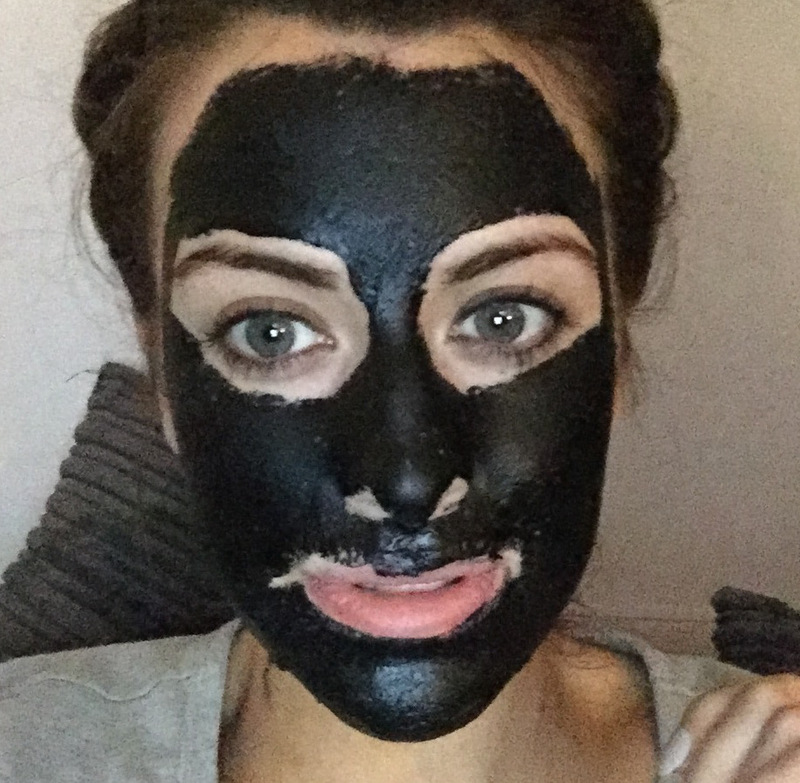 If you follow my Snapchat (username: eleiseonline) you would’ve seen me try this as I recorded the whole process! – Please excuse the photos as I just took them with my phone as I wasn’t expecting to blog about it! 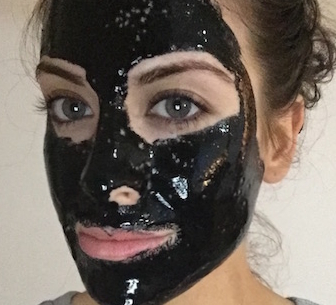 So the theory behind this is its supposed to unblock pores and smooth the skin – and we all know activated charcoal is amazing for drawing and toxins and impurities. The glue acts as a ‘peel off’ effect – a bit like pore strips. 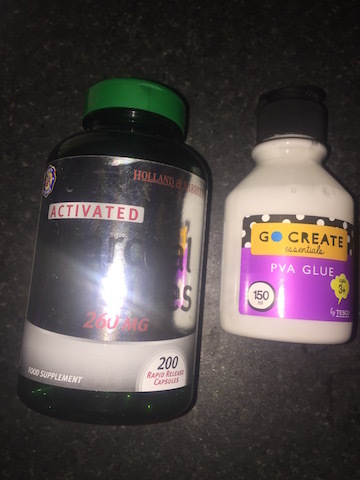 I had some activated charcoal from Holland and Barratt already so I went out and bought some PVA glue (non toxic childs glue!) to mix with it! 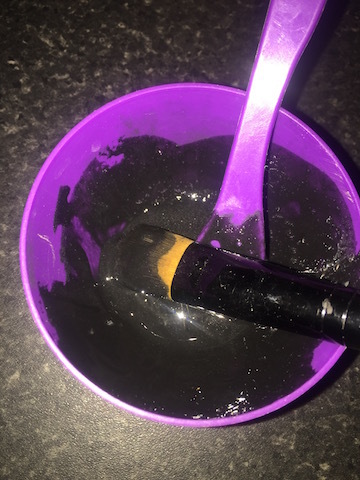 I applied it with an old flat foundation brush which is so good to put on masks! Once the mask is applied its thick, shiny and glossy and as it settled (as you can see in the photo below) your pores start to show through, so as this happened I just reapplied a bit more on the areas until I had a thick even layer. Be careful not to apply it too thickly as it takes ages to dry and doesn’t necessarily add to the effectiveness of the mask. I left this on for about 45 mins- hour until it was completely dry and them peeled it off upwards. As you can see peeling this off is possibly the most satisfying thing in the world as it all comes off in one! 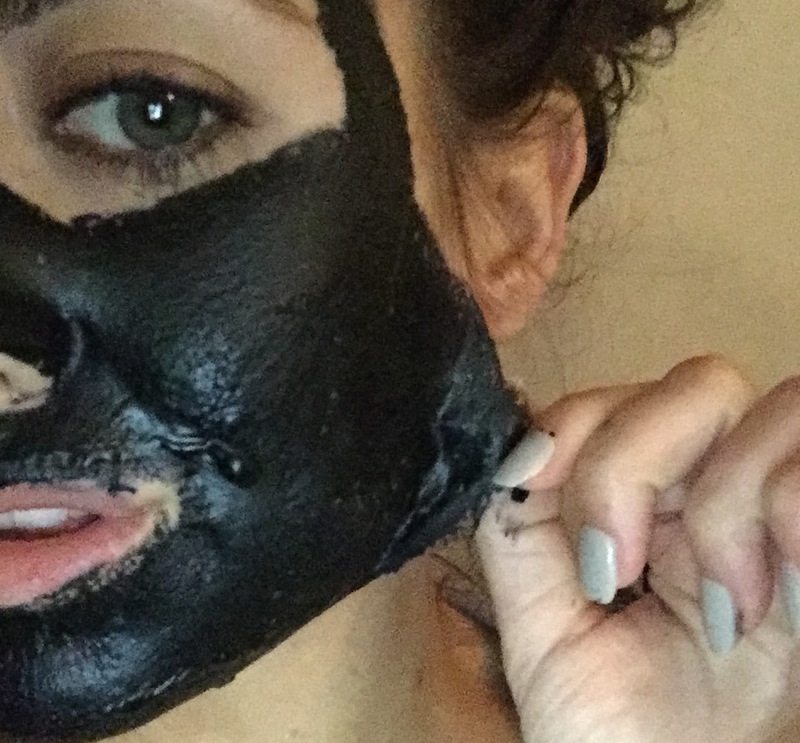 You can see here the mask takes away impurities and dry skin. The mask left my skin feeling a bit tingly, like increased circulation and also left it so so soft and humidified. Really great but use with caution! – My skin felt amazing straight after and the morning after (as Im writing this) but I was worried that the tingling I felt, might be a reaction on those with sensitive skin…. so use this trick as your own risk! – My skin felt so moisturised and smooth almost like you’ve freshly exfoliated then gone into a steam room and your skin feels so hydrated! I use masks all the time as I’m always putting and taking off make up, so my pores are normal – but I feel like it wold really work for those who have problems wth them. What I will say is avoid any brow hair like the plague as it WILL pull out your hair – my face is covered in fine hairs and I feel like this mask did give my face a bit of a wax so be careful! I think If I was to use this or recommend this again it would be to target areas rather than full face – but I will see how my skin feels in the next few days! Previous Article← No Shadow Glam + Individual Lash / Hair stroke brow tricks!